What tactic is seen in every exam room and has been involved in more conversations between Physicians and Patients? You guessed it! The Anatomical Chart! Consider this tactic for maximum exam room exposure! • Deliver unmatched branding and exam room marketing opportunities. • Provide educational solutions for the patient and health care professional. 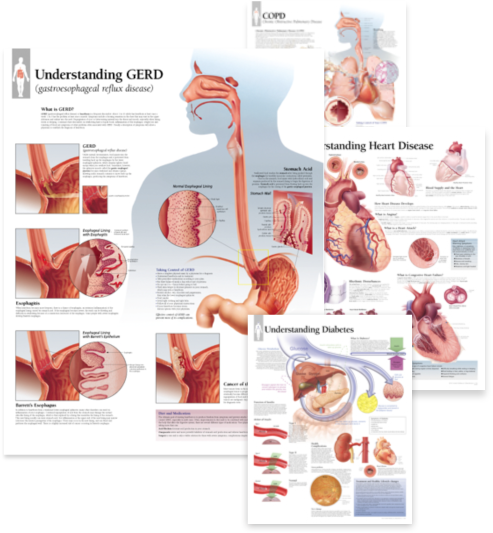 • Over 100 patient-education wall charts for immediate use. 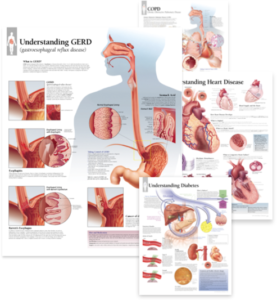 • Anatomy, pathology and physiology content for all major therapeutic areas.